ITS RAINING CARROTS FROM OUT OF THE SKY CARROTS NO NEED TO ASK WHY JUST OPEN YOUR MOUTH AND CLOSE UR EYES!!!!!!!!!!!!!!!!!!! So was Mel Blanc, voice of Bugs Bunny and many other Warner Brothers cartoon characters. 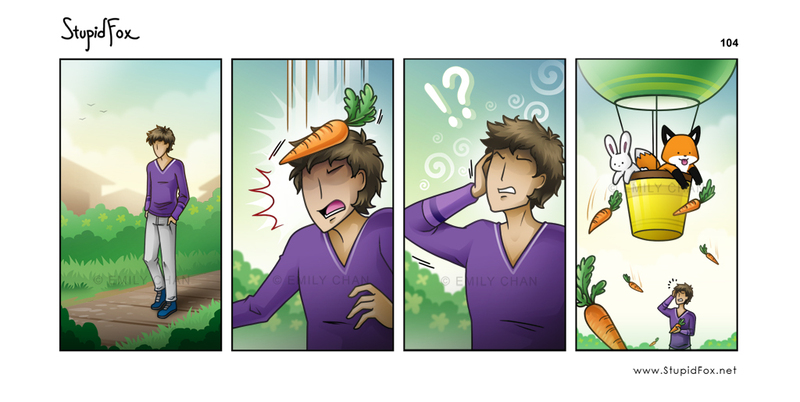 what if he's allergic t carrots? like me?! they're giving him lots carrots, because carrots are good for the eyes, and he has no eyes. so they're giving him lots of carrots to help his eyes grow.